For this month's celebrity style steal I knew I just had to pick this outfit on Sarah Jessica Parker as soon as I saw it. I probably don't even need to explain why I love it......yup that's right my Bet head is well & truly on but seriously how cool does this look?!!! I'm also loving the splashes of colour in the scarf & bag, although not totally in love with the white shoes....can't see me rocking that trend this summer, although never say never!!! So here is the Queen of Style herself Ms SJP! And here's the pieces I'd use to steal her style. 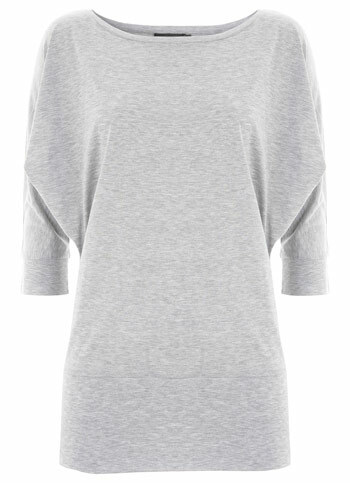 Starting with this gorgeous silver grey batwing top from Mint Velvet, which would be just one of those useful pieces to have in your wardrobe that you'd probably wonder how you ever managed without. Totally love the colour & style of SJP's bit of Bet, although sadly I couldn't find anything the same online, no doubt if I won the lottery & hit the designer shops this wouldn't be the case but in the meantime how about this short trench from Banana Republic? 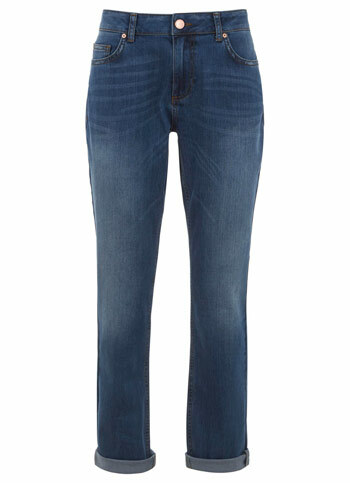 For the jeans you won't go wrong with these Mint Velvet beauties. I'm totally loving wearing mine (in fact I've got them on again today!) & to get SJP's look then stick with your normal size for a more fitted version & just have a single turn up deeper than the picture below. 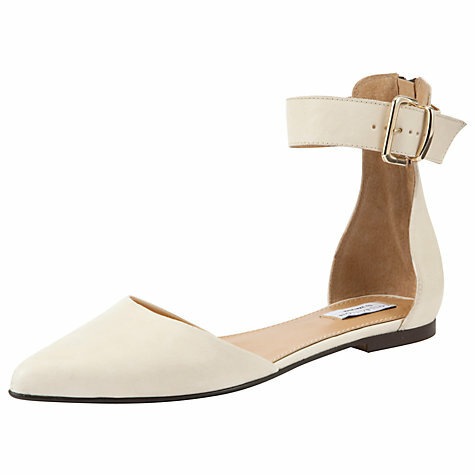 I couldn't quite find the same kind of shoe & seeing as I would personally prefer a cream shoe to a white one I've decided to interpret SJP's style & go with these gorgeous pointed ankle strapped ones from John Lewis - I totally LOVE these - elegant, plain & stylish & are just going to go with everything. 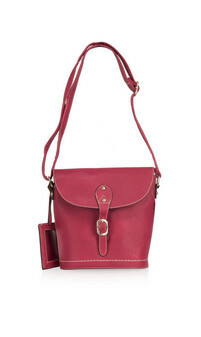 And swapping the purple accessories with pink, I've chosen this simple cross body bag from Gemini-Woman. Finishing with this stunning scarf from Marks & Spencer, I absolutely love the edging & it would be a great scarf for all seasons too. So what do you think? A successful style steal? Finally here's my outfit for today for a quiet day in. We're planning on spending hubby's last day of the holidays chilling out as a family watching some films & having some tasty nibbles, so have decided on a casual outfit incorporating two of my current favourite colours & wearing my comfy but stylish Mint Velvet boyfriend jeans. So what do you reckon is this a celebrity style steal you would fancy copying or is it too Bet-tastic for you?!!! I'd love to hear your thoughts. Have a great Wednesday, can't believe we're already on the countdown to the weekend....you really can't beat a Bank Holiday for making the week whizz by!! Thanks Michelle, I don't think there's many things I don't love about SJP's style & this coat is just one of them. How fab would it be to have a rummage & try on session in her wardrobe?!!! Thanks Sharron, she certainly has great style & I just love how she mixes things up. Thanks Fiona & I don't think there's many who don't love SJP! Ooh yes you can't beat a bit of leopard print with grey - it always looks gorgeous! She is totally cool in every sense isn't she Andrea.....I love how she can carry off all the pattern clashes & how it always looks fab! Love the animal print blazer !! !